CBSTonight marks the 50th anniversary of The Beatles‘ legendary first appearance on The Ed Sullivan Show. That moment will be celebrated with a special called The Beatles: The Night That Changed America — A Grammy Salute, airing this evening at the same time and on the same network –8 p.m. ET on CBS — that aired the original performance. 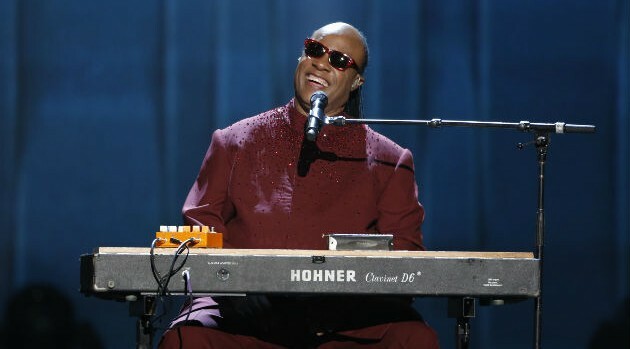 Stevie Wonder, Alicia Keys and John Legend are among the star-studded cast of contemporary artists who will be singing Beatles classics on the special. Wonder will showcase “We Can Work it Out,” while Keys and Legend perform a duet of “Let It Be” at their respective baby grand pianos. Of course, the highlight of the evening is expected to be rare reunion performance by surviving Beatles Paul McCartney and Ringo Starr.